Match 3 game with tropical atmosphere. Is there a better alternative to Pakoombo? Is Pakoombo really the best app in Puzzle category? Will Pakoombo work good on macOS 10.13.4? Pakoombo...The greedy Mr. Lyar has decided to sell a small hotel, and put an employee and his three kids out on the street! Help the three children follow an ancient treasure map across an island and save the small hotel! 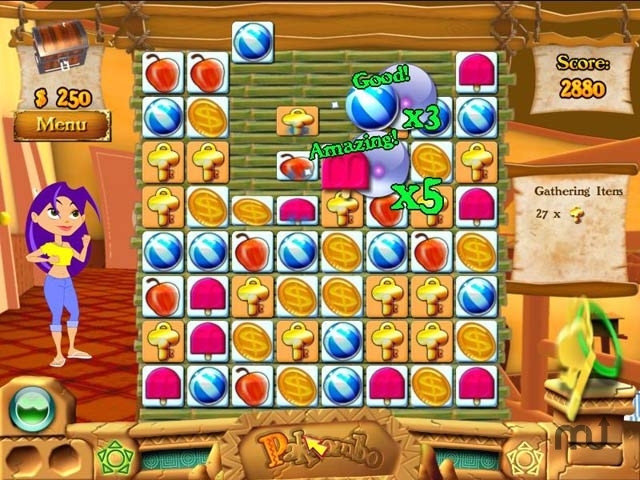 Escape from a strange coconut monster and get help from the three island spirits, Pah, Kom, and Boh in this Match 3 game. Take on quests and get help from the island's population in Pakoombo! Pakoombo needs a review. Be the first to review this app and get the discussion started! Pakoombo needs a rating. Be the first to rate this app and get the discussion started!